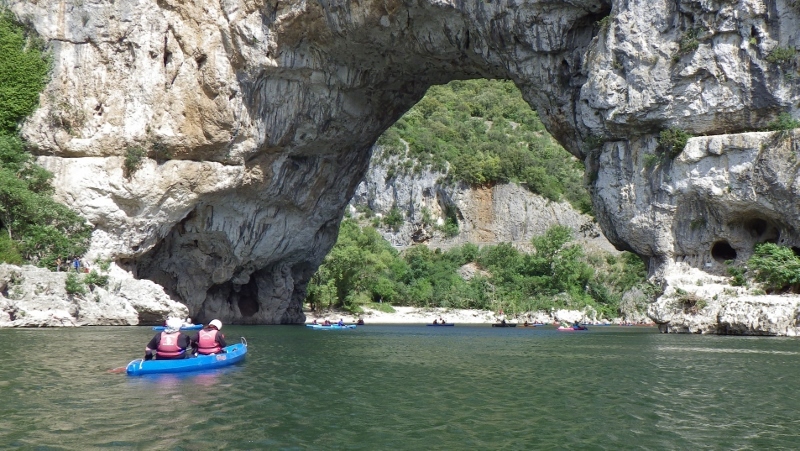 The Ardèche gorge is a magnificent place and one that will be familiar to many paddlers. I first visited this part of southern France in the 1980s and was privileged to return earlier this month with a magnificent group of people from the Meath Extreme team. Meath Extreme is the brain-child of Mike Keighley, chief executive of the Meath Epilepsy Trust, who has a background in the outdoors and believes that, with the right support, there is no reason that people with epilepsy shouldn’t enjoy the outdoors experience too. An approach three years ago to the Wokingham Waterside Centre led to day trips on the Thames and a conversation last year with the centre’s Matt Blackwell posed – and answered – the question: what next? We had an amazing week away with three days on the water. The Meath team comprised 12 residents each with a member of staff or volunteer supported by a team of experienced river leaders led by Matt from the Waterside Centre and Nat from Adventure Ardèche who handled local logistics. It was great to hear and see the enthusiasm of the Meath team and their preparedness to enjoy the river and the company irrespective of their epilepsy or their experience. As well as epilepsy, a number of the residents have limited mobility and other conditions that made us an unusual flotilla of sit on top kayaks and open canoes laden with a wheel chair and walking frame as well as other equipment. Were there challenges during the trip? Yes, but these were manageable, helped by the energy of the Meath manager Garry Hill, positive attitudes all round, regular meal breaks and the residents’ usual medication routines. We witnessed a number of seizures during the week but as the Meath nurse Annie Parker observed, there was a significant reduction in occurrences while we were away. It was a pleasure and a privilege to be part of the trip and see at first hand that epilepsy really is no barrier to enjoying the great outdoors.